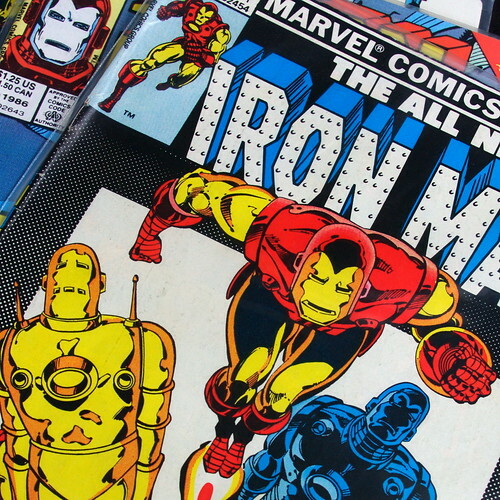 merewisdom.org » Rigid and Inflexible – Like Iron Man? Rigid and Inflexible – Like Iron Man? Quite a few weekends ago, I assembled what I thought were all of the right elements to get some work done and to have some fun with friends in the process. The fun didn’t really happen like I thought it would, so I reviewed the day with another friend. She listened and then saw immediately the problem. I didn’t like how that line of observations was going, so I changed subjects and discussed an issue about my daughter, and what might have caused things to blow up like they did. Again she saw an answer. Damn it, I think she might be right. And that isn’t a good thing. It used to be how I lived – this rigid inflexibility about what I planned, what I expected or what I wanted. But I also know of times where instead of being so rigid, I was flexible and able to adapt to circumstances. So what was putting me back into a rigid shell? We all operate in two contrasting modes, which we call open and closed. The open mode is more relaxed, more receptive, more exploratory, more democratic, more playful and more humorous. The closed mode is the tighter, more rigid, more hierarchical, more tunnel-visioned mode that we find ourselves in so much of the time. When is this closed, tight, solemn mode helpful? Only when action is urgently required, it seems. If you want a decision in two minutes, don’t open up the discussion. If you’re leaping a ravine, the moment of takeoff is a bad time for considering alternative strategies. When you charge the enemy machine-gun post, don’t waste energy trying to see the funny side of it. Act, narrow-mindedly. But the moment the action is over, we need to return to the open mode; to open our minds again to all the feedback from our action that enables us to tell whether the action has been successful, or whether further action is needed to improve on what we’ve done. In other words, we must return to the open mode, because in that mode we are most aware, most receptive, most creative, and therefore at our most intelligent. And this fit my situation well. I was, metaphorically speaking, charging multiple machine gun posts in the internal urgency and importance of the work to be done. “It had to be done,” I remembered saying again and again when people wanted to quit. I was armored in a rigid suit like Iron Man and doing battle. Sometimes I really like the suit, and I like the narrow-minded approach of, “there is only the next mission, and the mission after that.” But the suit also isolates me from others I care about. So how then to live outside the armor? I started doing two things. I started just taking the time to meditate and be still and remind myself there is no battle needing to be fought at that moment. I also sought laughter – to see the humor in my own actions, and also to rent some comedies to watch with my son. How did I take off the armor? Nice post. My husband is a lot like you and is trying to become more flexible. It’s a learned art and not easy for everyone. I operate at open about 99% of the time. He operates at closed about 99% of the time. Somewhere in there is a balance. Thanks for the writing.